Foglights when to use? | What Car? After the recent snow storms, there has been a lot of fog and mist in my area. Everyone has been driving with their foglights on, and I have been dazzled a few times. Can you give me some indication of how foggy it should be before I switch on my foglights? According to the Highway Code, you should switch on your headlights only when visibility is less than 100 metres (328ft). If the reduction in visibility is caused by fog, rather than fading light, or if it's already dark and there's fog, then you should also switch on your foglights. 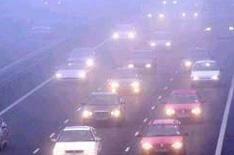 The Highway Code states that 'you must not use front or rear fog lights unless visibility is seriously reduced as they dazzle other road users and can obscure your brake lights', and that 'you must switch them off when visibility improves'. According to the Code, you should also switch off your foglights as soon as you park, and use the vehicle's sidelights if visibility is poor.